Visual Impairment Good Practice Guide No. 2: Referral and Assessment. Local authorities face new requirements in this area under the Unified Assessment Process (UAP), introduced in Wales in April 2006. Reducing the time taken between initial assessment and signing off the care package. Service is joined up from clients point of view. Number of people in local authority area with identified VI. Number of specialist VI assessments conducted per annum. Number of specialist VI assessments conducted on behalf of non-registered people with a VI. 1. Referral. Where service user has complex / multiple needs alongside VI, e.g. learning disabilities or deafblind, first point of contact makes referral to VI services within Social Services. Unified Assessment Process (UAP) standards are fully complied with. 2. Initial Assessment. Social Services officer undertakes initial assessment by telephone and/or in person to determine eligibility and priority of the service user. During initial assessment, service users are signposted to relevant services provided by the authority and/ or partner agencies, for which they may be eligible. Examples may include housing benefit, optometrist services for assessment of medical need, and CRUSE for grief counselling. Officer undertaking the initial assessment is aware of eligibility criteria and relevant timescales. Eligibility criteria and relevant timescales are provided for the service user at initial assessment stage in accessible format. Eligibility criteria and relevant timescales are provided for the service user at initial assessment stage in accessible and/ or preferred format/s upon request. On initial assessment the service user is provided with information on the process including timeframes, stages and outcomes, in line with UAP standards. Officer undertaking the initial assessment uses prompting or self-assessment questionnaires to collect accurate and relevant information. Additional relevant information is collected, if necessary, from other sources e.g. GP, family etc. 3. Specialist VI Assessment. Every service user with identified VI receives contact from rehab officer and is offered an assessment. Service user receives home visit from rehab officer and is provided with an assessment except in cases where service user declines invitation. On referral to specialist assessor, the service user is provided with information on the next stage of the process including eligibility criteria, timeframes, stages and outcomes, in line with UAP standards. Information on the process including eligibility criteria, timeframes, stages and outcomes are available to the service user in accessible format. Information on the process including eligibility criteria, timeframes, stages and outcomes are available to the service user in accessible and preferred format/s upon request. Information is provided ininitial face to face interview. Contact with rehab officer takes place within specified time, dependant on identified priority (see below). Home visit takes place within specified time, dependant on identified priority (see below). Level of risk is identified against set definitions in respect of all referrals, and referrals are prioritised. From receipt of the referral the specialist VI assessment is started within local community care assessment timescales. A full assessment is undertaken by specialist worker, which addresses low vision, mobility support, independent living skills, communication, emotional support, leisure, recreation and lifestyle, environment and relevant medical information, risk factors and unmet need. Face to face assessment interview is conducted in private or with carers, family etc. as requested by the service user. Interview takes place in the service user’s home or alternative place of their choice. Assessment takes needs of carer/s into account. Outcomes of the specialist assessment are made known to, and agreed with, the service user in line with UAP standards. Outcomes of the specialist assessment are made known in accessible format and agreed with the service user. Outcomes of the specialist assessment are made known in accessible and preferred format/s upon request and agreed with the service user. Further specialist assessment/s are provided where need/s are identified. Standard assessment tool for assessment that meets national guidelines is in place and is applied consistently. Review dates, appropriate to level of services provided, are set and communicated to the service user in ongoing cases. Service users are provided with contact details to inform of any change in their circumstances, condition or needs in ongoing cases. Service users have a named contact to inform of any change in their circumstances, condition or needs in ongoing cases. Partner agencies1 apply guidance and systems for the identification and assessment of dual sensory loss i.e. deafblind. 3. Recording and Monitoring. Recorded data will note the service user’s communication needs e.g. required accessible format/s, minority language needs etc. Social Services have appropriate systems in place to record service user satisfaction with the referral and assessment part of the process. Satisfaction data is collected by the authority and partners on a regular basis and analysed and used to inform future service planning and resoursing. Social Services and partners regularly review and revise their assessment procedures to ensure that they meet desired outcomes. Service user consent is requested at the outset for their details to be made available to other parts of the authority and designated outside organisations for related communications e.g. Housing benefits, library services etc., in line with national regulations. Service users’ data is recorded in ‘mail merge’ format to facilitate mail information shots, survey work, etc. Partner agencies have joint arrangements to log ‘unmet need’ i.e. the extent to which services are unable to meet demand. 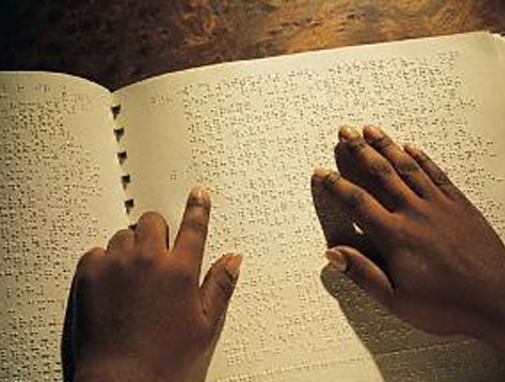 Mechanism is in place for annual review and update of register of blind and partially sighted people. 4. Training and Qualifications. Specialist assessor has the skills, experience, competence and/ or relevant qualifications in the field of VI. Specialist assessor is a qualified social worker. Assessment is undertaken by a specialist social worker in VI. Authority records evidence of specialist assessor’s continuing professional development. Specialist assessor undergoes a minimum of 5 days per annum related training and continuing professional development in order to maintain professional working status. Training needs analysis, involving the service officer and line manager, is in place and identifies training gaps and addresses these in the service training programme. 5. Supervision. Professional supervision is provided to those involved in the assessment process in accordance with local authority policy, or on a minimum 6 weekly basis. Professional cross-boundary peer support is provided for specialist assessors on a minimum quarterly basis. Professional supervision / support is provided by an internal or external specialist or mentor.